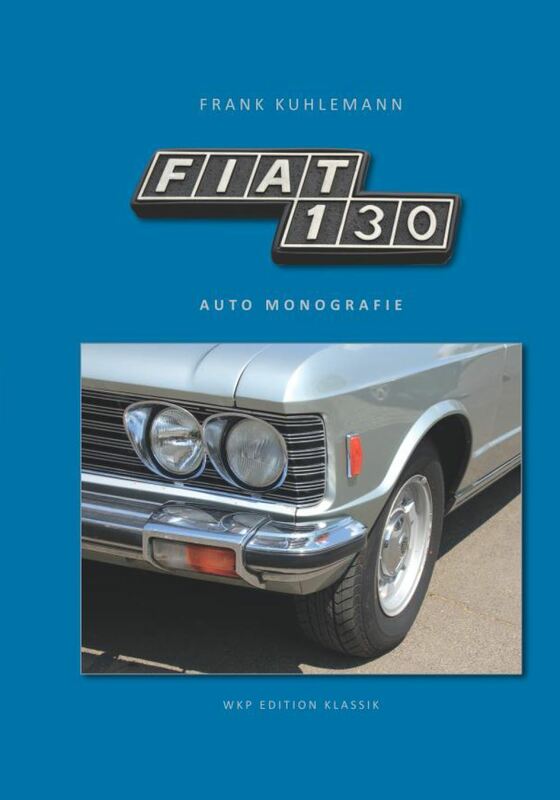 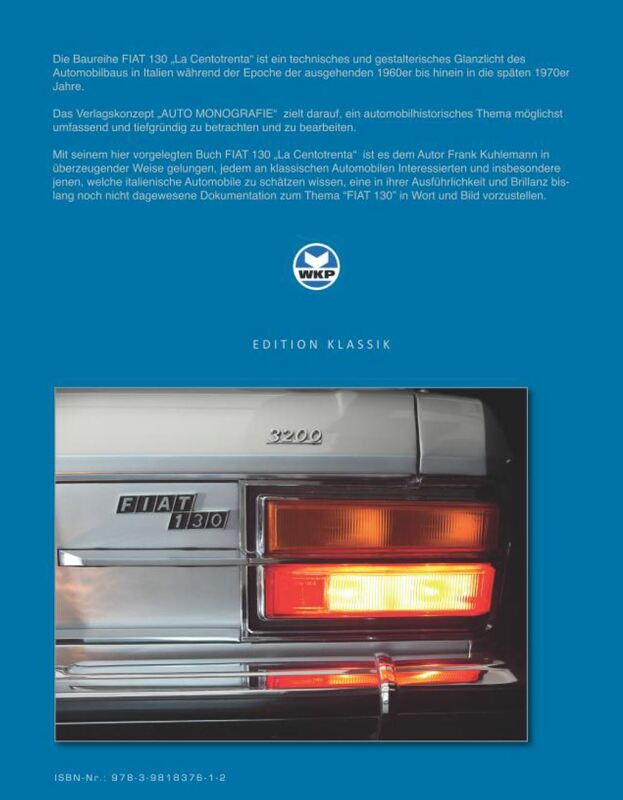 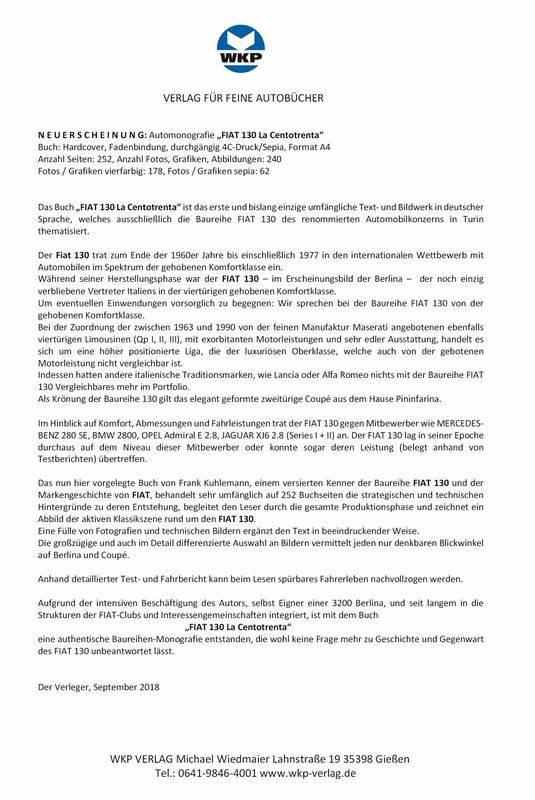 The book about “FIAT 130 – La Centotrenta” is published and available. 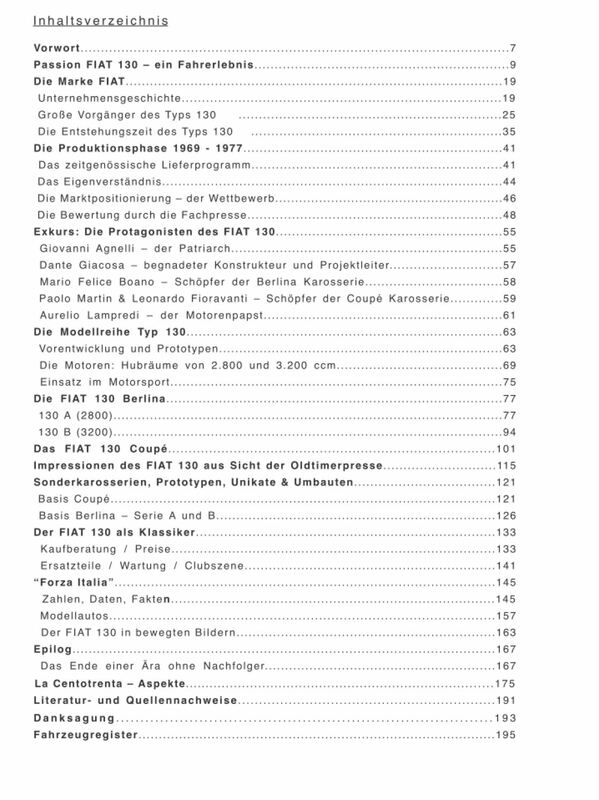 If you are interested in ordering a book, please send an email to WKP-Verlag, Gießen (Germany) . 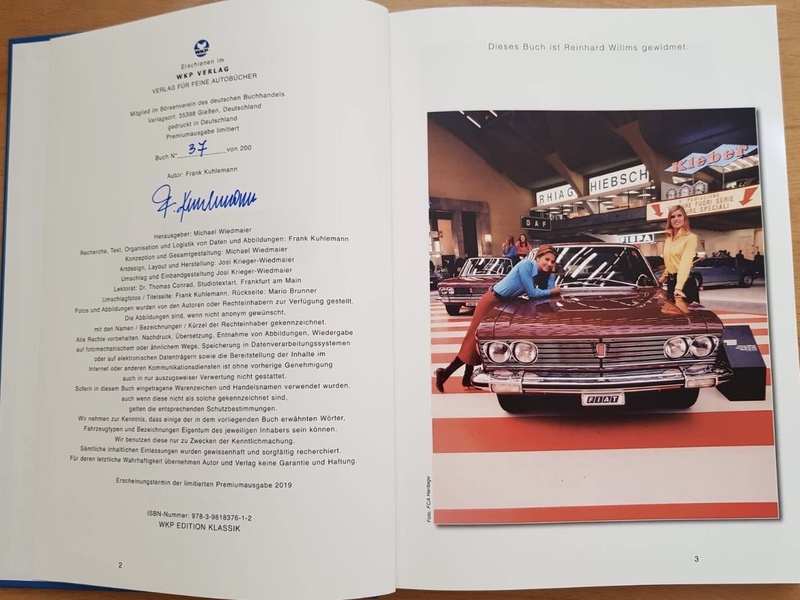 The first 200 books are a limited and numbered edition, signed by the author.